Contra Vision® perforated window film enables the delivery of an extravagant projection mapping display that has helped put The Macallan’s new distillery on the map. Projection mapping is a technology which can turn often irregularly shaped objects, into a display surface for video projection. Whole buildings appear animated and when combined with audio content the experience is highly engaging. Being located on a busy highway can often mean store fronts go unnoticed. Therefore attracting as much attention as possible is key to communicating your products and services and getting potential new customers off the highway and through the door. Contra Vision® Campaign™ range of perforated window film was recently chosen by the Wales Millennium Centre in Cardiff, UK, to promote the Festival of Voice 2018. The temporary installation was in place over the 10-day duration of the festival and it was essential that both the application and removal of the film was quick, simple and trouble-free. Cheltenham is home to the Cheltenham Festival, one of the biggest fixtures in the UK horse racing calendar and it’s also where Remote Possibilities and Bigger Printing have their roots. Remote Possibilities is a specialist in portable architecture. The company’s Pod system delivers “immediate event environments” which can be conveniently transported to site, wheeled into place and plugged in. Pods’ interiors can be fully customised so they fulfil a need for a range of applications including box-offices, pop-up galleries and support for experiential events. Pods can be delivered and deployed within a day on the UK mainland. Remote Possibilities recently worked with The Jockey Club, Cheltenham Borough Council and Bigger Printing to provide Pod-based ticket sales box-offices located near Cheltenham Station and in the town’s high street promoting the Cheltenham Festival and selling tickets to passing pedestrians. Pods appearing out of the blue are conspicuous things in and of themselves. To ensure The Festival got its fair share of the promotional bandwidth and celebrity, Contra Vision® was used, so transforming the installed Pods into stand-out temporary advertising structures. Given the short-term nature of the promotion and the need for the highest quality print, Contra Vision® Campaign™ perforated window film was specified for the job. Printed on Bigger Printing’s Oce Arizona 360, the eye-catching graphics delivered a practically uninterrupted view to the outside for anyone inside the Pod, and those on the outside couldn’t fail to see the printed creative promoting The Festival from any vantage point in the locality. Contra Vision® Campaign™ 30% perforated material features a special adhesive which made application of the printed promotional advertisements simple enough for Remote Possibilities’ staff to undertake themselves. Removing the applied Contra Vision® Campaign™ material is a simple undertaking too – all that remains is a positive impression of the promotion, and not a trace of adhesive. Remote Possibilities’ Pods are hard to miss when they land. With Contra Vision®, they bring potent advertising campaigns to areas where opportunities for such campaigns would otherwise be difficult or impossible. Known as ‘The Master’ of haute couture, Cristóbal Balenciaga was one of the most innovative and influential fashion designers of the last century. His exquisite craftsmanship and pioneering use of fabrics revolutionised the female silhouette, setting the tone for modern fashion. To reflect the impact of the creative genius behind the brand, the V&A Museum worked with their partners to hold a Balenciaga: Shaping Fashion exhibition running from May 2017 to February 2018. The event is the first UK exhibition to explore the work and legacy of the Spanish couturier, showcasing over 100 garments and hats crafted by Balenciaga, his protégés and contemporary designers working in the same innovative way today. It examines Balenciaga’s work from the 1950s and 1960s when he dressed some of the most renowned women of the age and became revered by his contemporaries, including Christian Dior and Coco Chanel. 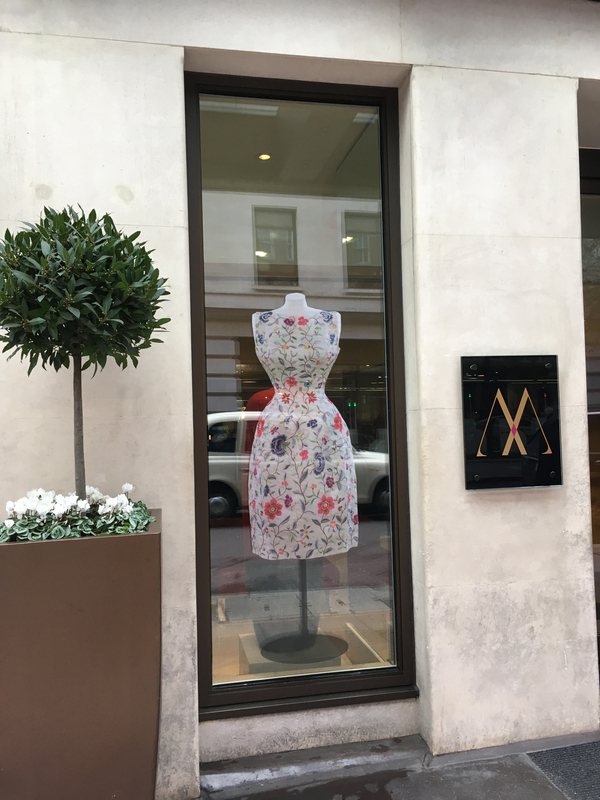 Rose Design, was charged with developing a marketing campaign to promote the exhibition at the V&A, and worked with WithPrint, Somerset, to offer various ideas including covering the windows of the prestigious May Fair Hotel, London. It was important that the experience of the guests in the hotel were not disrupted and that their views into the street were not drastically affected by the graphics. The hotel was also keen to keep the exterior windows clean and avoid covering the whole panes of glass. 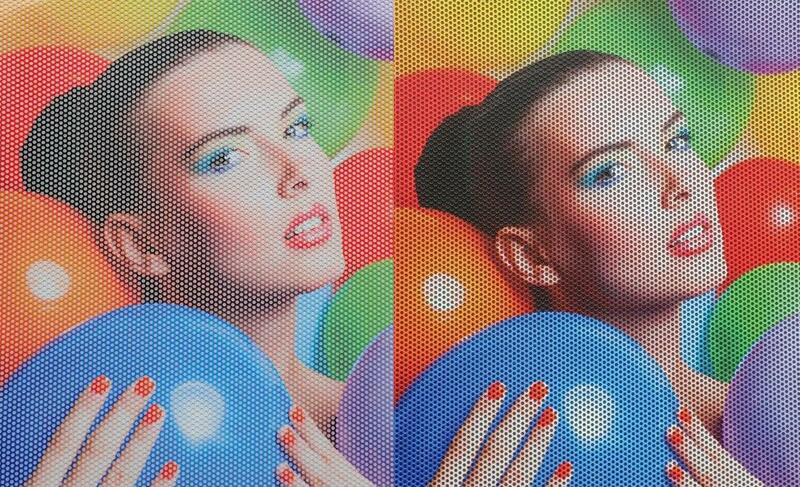 Contra Vision® Campaign™ 40% perforated window film was chosen as the best product to satisfy these requirements. From the inventors of see-through window graphics, the innovative one-way vision characteristics of Contra Vision® enable detailed images to be applied to any clear glass surface without negatively impacting the internal environment. On completion the hotel staff commented that the graphics ‘Looked amazing” and “it was almost as if the dresses were on display in real life.” They also had several guests admiring the graphics and asking about the exhibition during the install process. 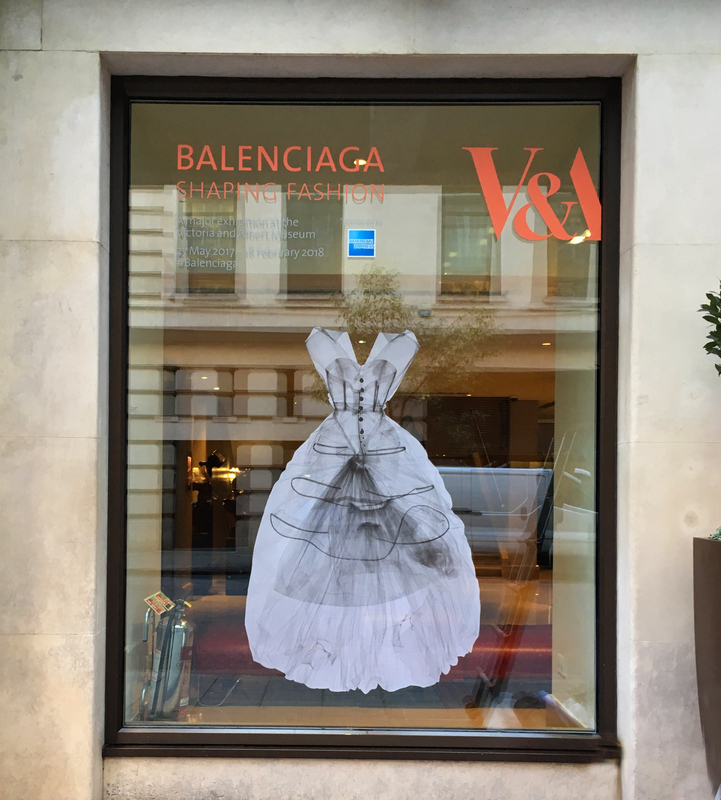 It is fair to say that the combined creative talents and attention to detail of Rose Design and WithPrint perfectly encapsulates the creativity and genius of Cristóbal Balenciaga in a show-stopping application, illustrating beautifully how transformative qualities of Contra Vision® window graphics can be. It has been a busy year for Contra Vision® Campaign™ after winning SGIA’s Product of the Year 2016. The award recognised the fact that this short-term (monomeric) one-way vision material offers a range of innovative features and a level of capability traditionally associated with more expensive long-term (polymeric) products. In fact, Contra Vision® Campaign™ shares many of the core features of our premium Contra Vision® Performance™ range, including a specially designed adhesive which ensures the film can be applied in low temperatures and is easy to remove afterwards. Over the last eighteen months every aspect of Contra Vision® Campaign™ construction has been tested and refined to produce an even more effective product. Not surprisingly, this short-term product range is building a loyal fan base among printers and installers worldwide so we have continued to add to the choice of options available. Responding to demand from our customers, we have expanded the choice of transparency options available and now offer: 20% (80/20), 30%(70/30), 40% (60/40) and 50% (50/50). As a result, when it comes to short-term installations, regardless of whether you are looking for maximum impact from the graphics, optimum see-through or somewhere in-between, we have a selection of materials to support your application. We introduced an “Inside mount” or internally applied Contra Vision® Campaign™ Clear in the US. This innovative clear material was previously only available as part of our premium Contra Vision® Performance™ range. The internally applied short-term product has proved so popular in the US that we are making it available worldwide. This expansion of our Clear product ensures that internally applied graphics are even more accessible than ever, as long as you have access to white ink. 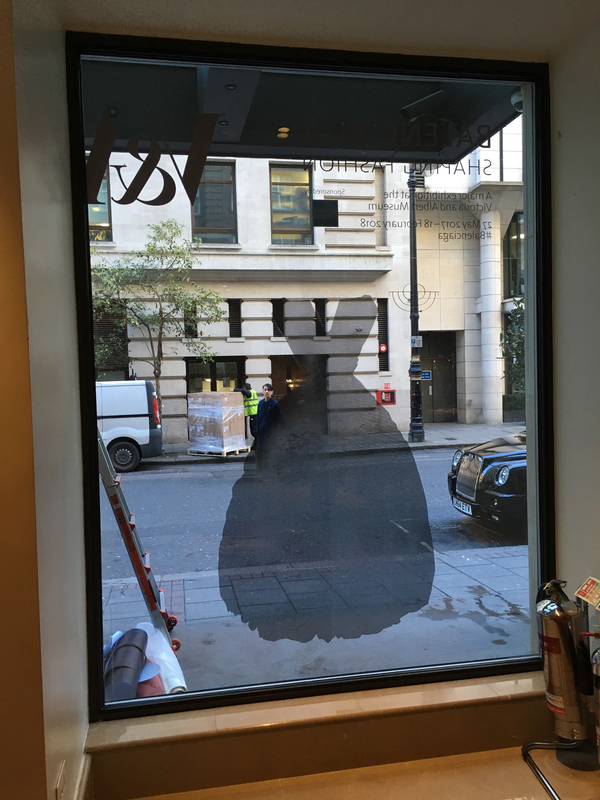 Despite a slight reduction in image impact, see-through graphics applied to the inside of a window offer major benefits as they are protected from vandalism, rainwater and street dirt. Access to the inside of glazing is often easier and more straightforward than to the outside and can enable colder weather application. The Contra Vision® Campaign™ journey, from a single line on the New Product Development Register to an expansive award-winning range reflects the products increasing popularity. Along with our premium Contra Vision® Performance™ range we are now able to offer our customers more choice with the same exacting standards they have come to expect from the home of one-way vision graphics. The video above of a recent application at the Place Bell Stadium in Laval illustrates just how huge the opportunities for Contra Vision® Campaign™ are. Contra Vision North America, Inc. is a company which prides itself on extending the market for see-through graphics by providing creative solutions designed to improve print performance. Contra Vision® products transform glass into opportunities for advertising, branding, one-way privacy, solar shading and decorative architectural features, while retaining excellent see-through from the other side. Our invention has made the Contra Vision® brand a byword for one-way vision window graphics and the company’s continual innovation has been recognized by a Product of the Year 2016 Award at SGIA Expo 2106. A new product, Contra Vision® Campaign™ perforated window film with Grayliner™ has been awarded Product of the Year at this year’s SGIA exhibition in Las Vegas, in the category, Media- adhesive backed vinyl. This extension to our range is a new product which combines the benefits of Contra Vision® Campaign™, an economically priced perforated window film, specifically for the production of short term see-through graphics, with the benefits of Grayliner™ technology. Contra Vision® Grayliner™ is a patented improvement to perforated window films, making it easier than ever to produce outstanding see-through graphics. The liner color matches the 70% monochromatic gray tone which is typically visible through the perforations on a window. It is the perfect background to view trial prints and to help print operators with color matching and quality assurance during production. The graphics on a conventional white or clear liner can appear “washed out” and may not be accepted by the customer. This creates the temptation to use excessive amounts of ink which can damage the performance of perforated window films. In other cases the printed image can appear artificially strong if the liner absorbs ink within the perforations, leading to unrealistic expectations and disappointment when the film is installed. Contra Vision® Campaign™ with Grayliner™ is suitable for printing with solvent, eco-solvent, latex and UV inkjet printers, and for screen-printing and other common printing technologies. The development of Contra Vision® Grayliner™ is just one of the many product innovations developed by the company over the years, with continual innovation and expert consultancy providing the basis of Contra Vision’s worldwide success. 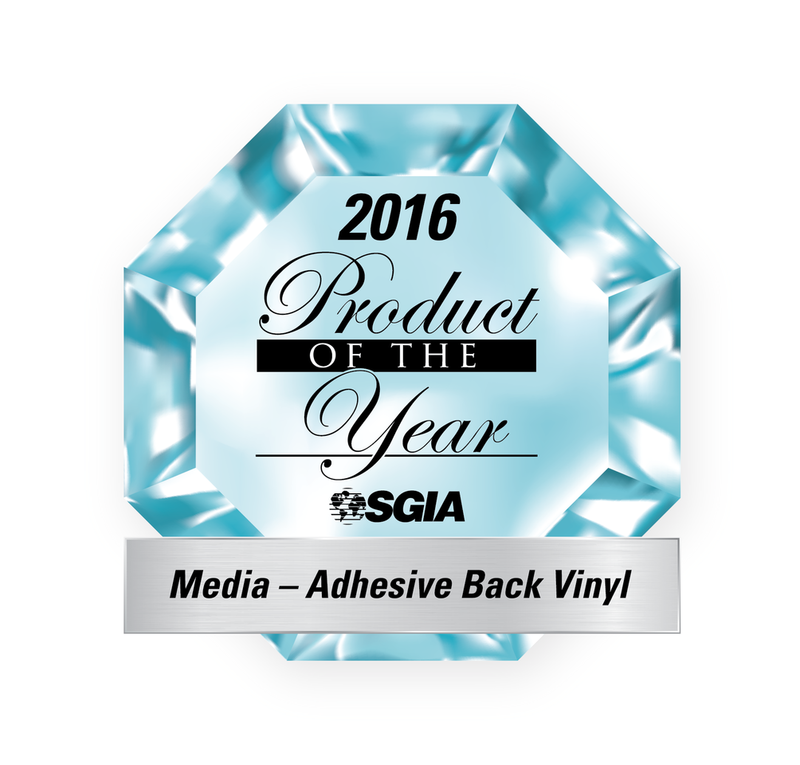 SGIA chose this product as best Media-adhesive backed vinyl; the competition judged submissions across 19 categories for output devices and 29 categories for non-output devices. Contra Vision North America, Inc. was founded in Atlanta, Georgia over twenty years ago to serve the North American market and the company regularly exhibits at SGIA.